The Sumerians, as the earliest settlers in the land around the Tigris and Euphrates Rivers in what is now modern Iraq, established the first cities in the region. Active from about 3500 b.c.e. to 2500 b.c.e., they were supplanted as the dominant culture by the Babylonians (2500 b.c.e. to 1000 b.c.e.) who in turn gave way to the Assyrians (1000 b.c.e. to 600 b.c.e.). One of the chief products of Mesopotamia, wool, was used not only domestically but was also exported. Although flax was available, it was clearly less important than wool. 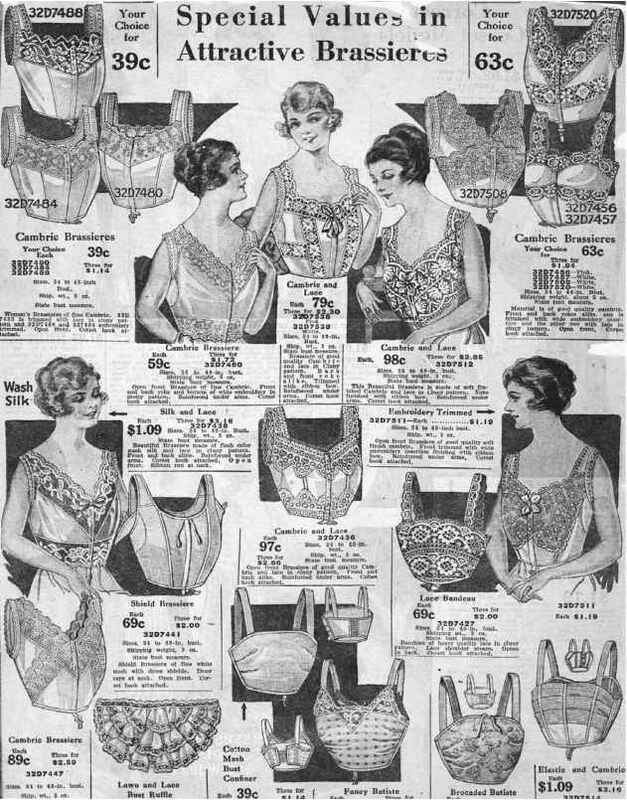 The importance of sheep to clothing and the economy is reflected in representations of dress. Sumer-ian devotional or votive figures often depict men or women wearing skirts that appear to be made from sheepskin with the fleece still attached. When the length of material was sufficient, it was thrown up and over the left shoulder and the right shoulder was left bare. Other figures seem to be wearing fabrics with tufts of wool attached, which were made to simulate sheepskin. The Greek word kaunakes has been applied to both sheepskin and woven garments of this type. Additional evidence of the importance of wool fabric comes from archaeology. An excavation of the tomb of a queen from Ur (c. 2600 b.c.e.) included fragments of bright red wool fabric thought to be from the queen's garments. Evidence about dress. Evidence for costume in this region comes from depictions of humans on engraved seals, devotional, or votive statuettes of worshipers, a few wall paintings, and statues and relief carvings of military and political leaders. Representations of women are few, and the writings from legal and other documents confirm the impression that women's roles were somewhat restricted. Major costume forms. In addition to the aforementioned kaunakes garment, early Sumerian art also depicts cloaks (capelike coverings). Costumes of later periods appear to have grown more complex, with shawls covering the upper body. Skirts, loincloths, and tunics also appear. A draped garment, probably made from a square of fabric 118 inches wide and 56 inches long (Houston 2002), appears on noble and mythical male figures from Sumer and Babylonia. Because the garment is represented as smooth, without folds or drapery, most scholars believe that this unlikely perfection was an artistic convention, not a realistic view of clothing. With this garment men wore a close-fitting head covering with a small brim or padded roll. Women's dress of this period covered the entire upper body. The most likely forms were a skirt worn with a cape that had an opening for the head or a tunic. Other wrapped and draped styles have also been suggested. Transitions from Babylonian to Assyrian rule are not marked by clear changes in style. In time, the Assyrians came to prefer tunics to the skirts and cape styles that were more common in earlier periods. The length of tunics varied with the gender, status, and occupation of the wearer. Women's tunics were full-length, as were those of kings and highly placed courtiers. Common people and soldiers wore short tunics. Fabrics ornamented with complex designs appeared in Assyria. Scholars are uncertain whether the designs on royal costumes are embroidered or woven. Elaborate shawls were wrapped over tunics, and the overall effect was complex and multilayered. Priests selected the most favorable colors and garments for the ruler to wear on any given day. Hairstyles and headdress are important elements of dress and often convey status, occupation, or relate to other aspects of culture. Sumerian men are depicted both clean-shaven and bearded. Sometimes they are bald. In hot climates shaving the head may be a health measure and done for comfort. Both men and women are also shown with long, curly hair, which is probably an ethnic characteristic. Assyrian men are bearded and have such elaborately arranged curls that curling irons may have been used. In art women's hair is shown as either ornately curled or dressed simply at about shoulder length. 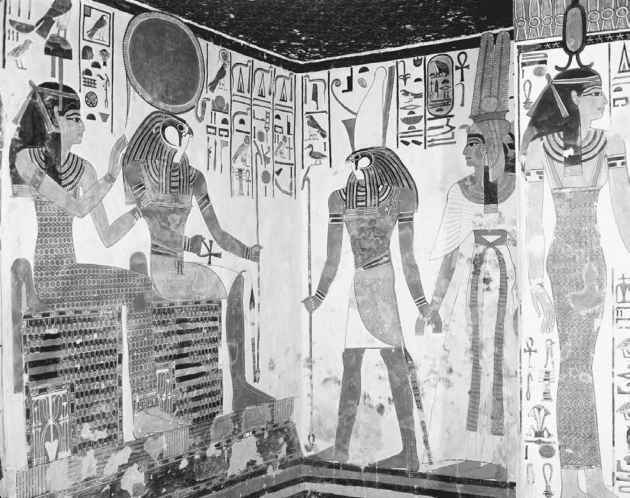 Nefertari's tomb, Valley of the Queens. Artistic representations such as in this mural painting, created circa 1290-1224 b.c.e., provide historians with much information on the clothing of the period. This tomb relief shows three different dress styles: a sheath dress, a pleated gown, and a man's skirt (schenti). © Archivo Iconografico, S.A./Corbis. Reproduced by permission. principal wife. Specific practices as to how and when the veil was worn are not entirely clear; however, it is evident that traditions surrounding the wearing of veils by women have deep roots in the Middle East. What would men and women wear in mesopotamia? What women wore in Mesopotamia? How did babylonian women dress? What the sumerian dressed in the urly 3500 to 600 b.c?